The AK100 includes four steel corner gussets and perimeter claps that lag bolt directly to the slab. A 1/4" masonry drill bit is also included. 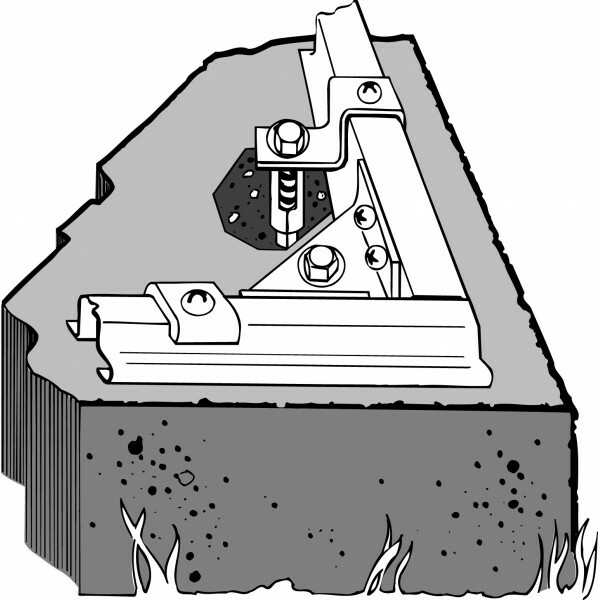 If you have a concrete slab as a base for your Arrow building , consider the AK100 concrete anchor kit to help anchor the shed to the slab. The AK100 includes four steel corner gussets and perimeter claps that lag bolt directly to the slab. A 1/4" masonry drill bit is also included. 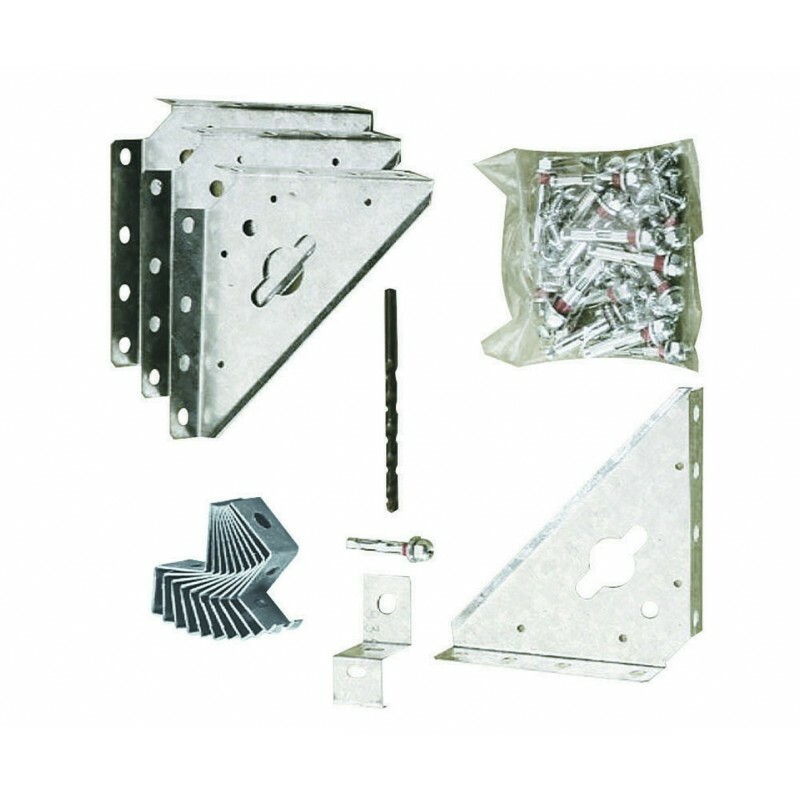 This anchor kit fits most Arrow buildings. 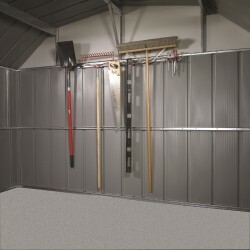 With this kit, your Arrow Shed will get the protection needed against strong winds. 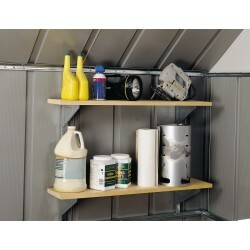 Arrow's SS404 shelving hardware will let you add storage capacity to most sheds, garages or workshops. The TH100 Tool Hanger Rack from Arrow lets you organize long handle tools plus small hand tools in your shed, garage or workshop. 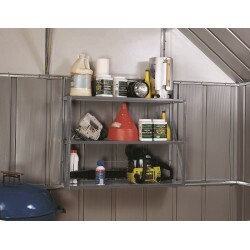 Arrow's 3 tier steel shelf unit adds storage space to any shed, garage or work area. 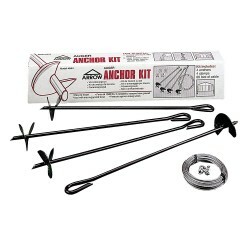 The AK600 anchor kit is a great way to protect your Arrow building from strong winds. The kit is easy to install. 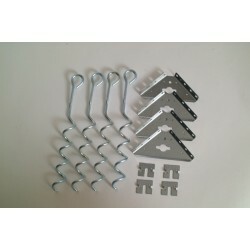 Includes four corkscrew steel anchors, corner gussets and locking washers. 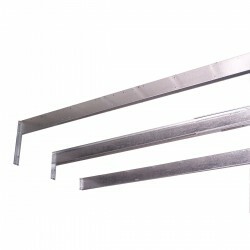 This type of anchor is ideal for smaller and slope-roof style Arrow buildings. 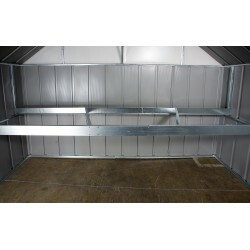 The kit is adjustable to any of 5 heights for use as an attic or workbench frame. Plywood is a suggested finishing material (Not Included). The frame holds up to 250 lbs (evenly distributed). Made of durable galvanized steel. All hardware is included. 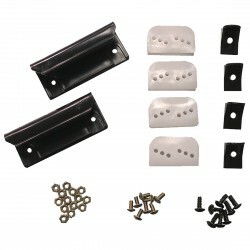 Get added protection from heavy snow load with the Arrow RBK6586 Roof Strengthening Kit. The AK4 ground anchor is our most popular anchor kit. 4 heavy duty steel augers , clamps, and cable are included. 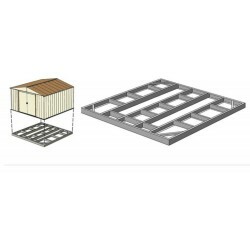 The FB47410 floor frame kit from Arrow fits the 4'x7' and 4'x 10' Arrow Yardsaver buildings. The FB106 floor frame kit from Arrow fits 8'x6' and 10'x6' Arrow steel buildings. 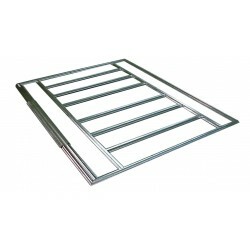 The FB109 floor frame kit from Arrow fits 10'x8', 10'x9' and 10'x10' Arrow steel buildings. Made of durable galvanized steel, the FB109 will provide a perfect base for a plywood floor finish (wood is not included). The kit includes additional galvanized steel beams that increase roof strength by 50%. Helps keep roof strong during periods of heavy snow accumulation. Give your Arrow building the base it needs with a FB1014 floor frame kit. Fits Arrow 10'x12' and 10'x14' buildings, the FB1014 assembles in minutes and helps to protect stores items. 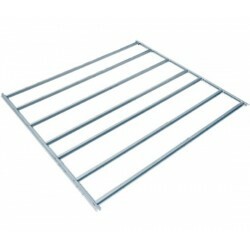 The FB5465 floor frame kit from Arrow fits 5'x4' and 6'x5' Arrow buildings. Arrow's shed accessories can help you make full use of your shed, maintain its attractiveness and maximize its lifespan. 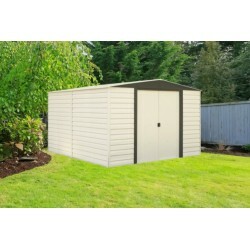 To protect your stored items, you should consider having a floor above the base in your shed. If you are creating your own base, we recommend that you install a floor using an Arrow floor frame kit. 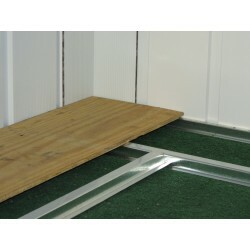 Finish the inside of your new Arrow Ezee storage shed with a shed floor foundation kit! Made with heavy duty galvanized steel.